If this music inspires you, makes you feel good, gives you goosebumps, or just makes you want to dance, it has achieved its purpose. "The Above" Reviewed by RadioIndy.com! 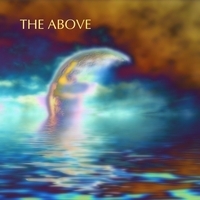 The self-titled album from The Above, is a groovy, rocktronic new age album that will lift your spirits. Solo musician/composer Lenny Stearns brings his best chops to the table with this work. In additional to its uplifting quality, the album brings you a world of sounds in various styles, blending genres and incorporating instruments from around the world. Meditation and spirituality are huge elements on this record, so you can expect to listen with your brain and relax your spirits through this down tempo, electronic morphing. The sound quality does not disappoint; you can rely on the superior quality of the recording to take you to another place. The arrangements are also very unique and well-layered. The opener, "Two Feathers," brings an Asian feel to the table and establishes the tone with airy sounds and a big beat. "Compassion" lowers your heart rate immediately with strings and choral elements. "Never Tell a Stranger" wraps things up nicely with dramatic bass, spacey synths, and a sense of closure. “The Above” is an enjoyable album that takes the listener on a spiritual journey through music inspired by genres that span the globe. If you enjoy new age music with electronica elements, you will surely enjoy The Above.